People seem to have a lot of opinions on Florida. For some people it is home to Mickey Mouse and the magical Walt Disney World experience. For others it is the place on the news where bizzaro stuff happens, which seems to give comedians endless fodder. For me, it is just home. When people think of culinary gems they tend think of San Francisco, New York City or Chicago. I am guessing for most people Tampa, Fla. has never even registered with them as being home to one of the best steak houses in the United States and the largest wine selection in the world. 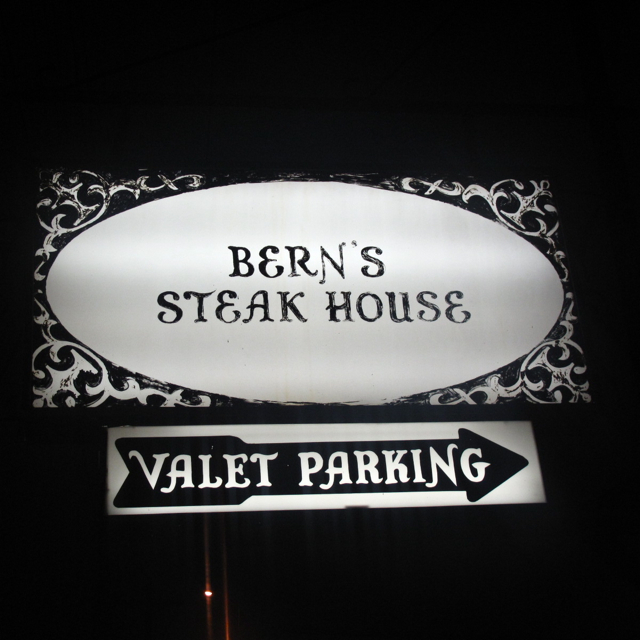 Founded in 1956, Bern’s Steak House embodies that old world style, and is rounded out by the rich mahogany paneling and ornate chandeliers. The waiters wear tuxes, and it has become the signature special occasion place for the wealthy surrounding community. It offers an air of decadence and exclusivity that isn’t just show – patrons best make reservations, as the restaurant regularly packs in a full house. But Bern’s isn’t all looks and no substance. Today, its cellar contains more than 6,800 different selections with more than half a million bottles. Wines on the list range in price from $200 to $30,000, with some bottles dating all the way back to 1790. In addition to an all-star wine list, it offers 300 Madeiras, Ports and Sherries by the glass, as well as 200 table wines served by the glass with vintages to 1973. Of course Bern’s namesake and reputation has been built off its food. Now most people think that green and sustainable is just a California thing, but Bern’s Steakhouse takes fresh ingredients to a whole new level. In fact, the restaurant has its own 40-acre farm in the local area. The produce served to customers is picked daily from the farm just hours before being served. Now if you are coming to Bern’s you are probably a carnivore, and are looking for details on the goods. The steak house offers 55 different cuts of meat that have been aged for eight weeks, which are trimmed and cut once you order. Aged meat is already tender, and the waiters will likely encourage you to order it cooked less done than you would fresh meat (I highly recommend the Delmonico served rare). The restaurant offers several sauces like béarnaise, Gorgonzola fondue, green peppercorn and Pinot Noir Reduction to adorn your steak, but the meat is so flavorful that you are fine without them. The steaks range from $29.90-236.12, and each is severed with French onion soup, house salad, baked potato, farm fresh vegetables and thin and crispy steak house onion rings (perhaps the highlight of the meal). But be sure to so save room for dessert. On the second floor of Bern’s is the Harry Waugh Dessert Room, which offers patrons their own separate dining area made from wine casks and barrels. Each room is complete with its own stereo system that allows you to choose from a variety of genres of music. Bern’s is just as serious about desserts as it is about steak. It makes all its own ice creams, sherbets, pies, pastries, hot fudge, whipped cream, breads and crackers and imports the best ingredients from all over the world to do it. It offers classics like Baked Alaska, which is grand in scale and presentation, as it arrives at the table on fire, as well as dulce de leche liquid center cake and chocolate peanut butter truffle. 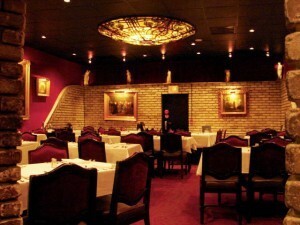 There is something to be said for tradition, and Bern’s seems embody all the best of yesteryear. It offers more than just great food; it offers a great dining experience. We often get swept up in the fast paced world, but Bern’s has created an atmosphere that is a departure from that and allows you to just be for a little while. 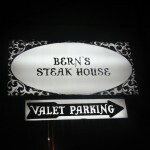 Bern’s Steak House is slated to be on the popular Food Network show, “Best Thing I Ever Ate” this summer. Location: 1208 S. Howard Ave., Tampa, Fla. Hours: Sun.-Thurs, 5-10 p.m., Fri-Sat., 5-11 p.m. I went to the dessert room back in February and had the Peach Melba. A-mazing! Be sure to take the kitchen and wine cellar tour. Berns is tops when it comes to food and service.